NEW DELHI, India--Now on its final year of implementation, IRRI’s Stress-Tolerant Rice for Africa and South Asia (STRASA) Project convened in an annual review and planning meeting about 160 delegates from South Asia, Africa, Philippines, and USA, to assess the project’s challenges and milestones, and set directives for its operation until 2019. Through STRASA's decade long implementation, about 230,000 tons of seeds were produced and distributed to nearly 8 million farmers in India, Nepal and Bangladesh, and over 200 rice varieties in over 18 countries of sub-Saharan Africa, making the project a catalyst at a policy level; with IRRI and its partners ushering in a new level of rice diplomacy in Asia and Africa. Eastern India,” said Dr. S. K. Pattanayak, the event’s guest of honor and the Secretary of the Department of Agriculture, Cooperation, and Farmers Welfare. “India is going to reach 111 million tons of rice this year, and for this, credit should go to this Project,” he added. On a mission to make Asia and sub-Saharan Africa more food secure, the STRASA Project, chiefly supported by the Bill and Melinda Gates Foundation (BMGF), was launched in 2008. Implemented for more than 10 years now, STRASA has brought forth a new era of scientific excellence in rice science, as evidenced by the following impacts: extensive network of research and development and expertise generated from stress-tolerant rice varieties’ delivery and extension; strengthened supply chain networks; shared platforms for varietal knowledge enhancement, production and training; and widespread diffusion reaching farmers and benefiting consumers worldwide. In working with the government and other partners, IRRI has helped usher a new era of cross-country and regional cooperation. The signing of the Dhaka Agreement (2013), Kathmandu Agreement (2014), and Siem Reap Agreement (2017) accelerated the exchange of technology and varietal knowledge, and enhanced South-South collaboration. The meeting comprised of sessions on drought, submergence, salinity, seed systems, and cross-cutting activities on biotic stresses--emphasizing challenges, successes, and future directions. Special sessions discussing genetic gain; trends in rainfed lowland rice breeding networks; future breeding; grain quality tools; product development; seed multiplication and dissemination; impact assessment; and gender issues were also held. By way of closing, key scientists and breeders were recognized for making significant contributions to the development, dissemination, and adoption of STRVs. STRASA’s 11th annual meeting was held from April 30-May 03 in New Delhi, India. Photo news bits for 30 April, 1 May, 2 May and 3 May. Junior Scientist of the Year Award 2017 by the National Environmental Science Academy (NESA), in New Delhi, India. The award was presented during the Valedictory Ceremony last December at the 30th annual meeting of NESA and the National Conference on Impact of Environmental Changes on Indian Ecosystems, held at Barkatullah University, Bhopal, Madhya Pradesh. Dr. Khan received the award for his overall achievements and contributions in the field of plant physiology. Dr. Khan is currently studying the physiological and molecular mechanisms involved in flooding tolerance. He is also looking for suitable germplasm donors for breeding under the supervision of Dr. Abdelbagi Ismail, IRRI principal scientist and STRASA overall project coordinator. Working on the metabolism of plants under abiotic stresses, Dr. Khan has found a significant role of phytohormones in the regulation of plant growth and development. His research suggests that phytohormones are critical for plant growth and development and play an important part in integrating various stress signals and controlling stress responses and interacts in coordination with each other for defense signal networking to fine tune tolerance mechanisms. Dr. Khan has published more than 25 peer reviewed journal articles and has edited two books. He is also a manuscript reviewer for an impressive list of plant physiology journals including Scientific Reports, Physiologia Plantarum, Journal of Plant Physiology, Plant Physiology and Biochemistry, Saudi Journal of Biological Sciences, Acta Physiologiae Plantarum, and Physiology and Molecular Biology of Plants. production,” said Shri Radha Mohan Singh, the Union Minister of India’s Agriculture and Farmers Welfare. The Minister, speaking at the inauguration of Indian Seed Congress 2017, added that quality seed is undoubtedly essential for crop productivity. He also cited the contributions of the various scientists who developed the varieties in improving crop productivity and the income of farmers. 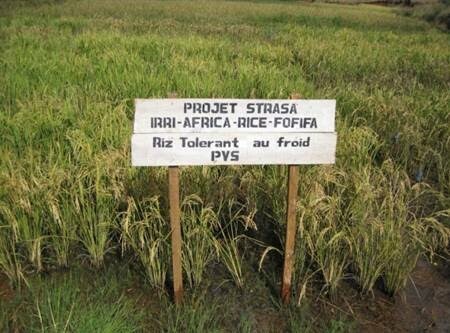 The demand for climate-resilient rice varieties promoted and disseminated by the Stress-tolerant Rice for Africa and South Asia (STRASA) project in India has been steadily increasing. These rice varieties captured 27% of the total order for kharif cropping season 2017, according to data available on Seednet India Portal. 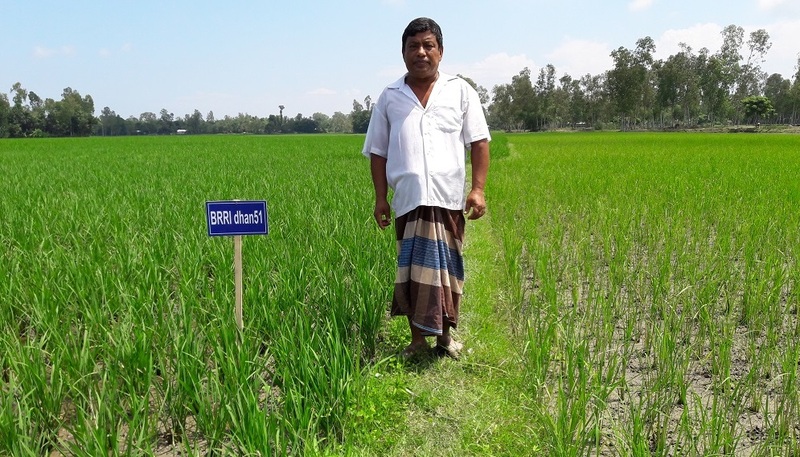 Out of 310 rice varieties, flood- and drought-tolerant varieties like Swarna-Sub1, Sahbhagi dhan, DRR42, and Samba- Sub1 are among the top 10 varieties in terms of seed production demand. The Indian Seed Congress, held in Kolkata on 12-14 February, was organized by the National Seed Association of India in line with the vision of this government to bring prosperity to farmers. The main objective of the congress is to strengthen the Indian seed sector and increase the availability of certified and quality seeds to farmers. The Minister assured the representatives from various private seed sectors that the government is taking all possible efforts to help grow the seed sector where the public and private seed producers can work together for the betterment of the farmers. “The Ministry of Agriculture and Farmers Welfare is continuously trying to streamline the regulatory framework for the industry in order to make it transparent and progressive,” Singh said. The event was primarily aimed at providing an effective platform for creating awareness among farmers. A large number of farmers from six northern states of India (Haryana, Himachal Pradesh, Jammu and Kashmir, Punjab, Uttar Pradesh, and Uttarakhand) attended the event. This provided a good platform for reaching farmers and providing them with information on the latest technologies and machinery such as stress-tolerant rice varieties (STRVs), Crop Manager for Rice-based Systems, safe alternate wetting and drying (AWD) technology, use of the turbo seeder for rice residue management, publications on seed production and postharvest techniques, the manual rice transplanter, the community mat nursery, and performance charts for the STRVs. In addition, IRRI representatives Dr. Showkat A. Waza (left photo) and Dr. Amit Mishra (lower right photo) demonstrated the various technologies developed by IRRI. Farmer-friendly literature of IRRI was also distributed among the farmers and students. This fair also gave an opportunity for the scientists, farmers, and input dealers to interact, which greatly benefited the farmers. Abdelbagi Ismail has been appointed as the head of the Genetics and Biotechnology (GB) Division of the International Rice Research Institute (IRRI) starting 1 January 2017. Dr. Ismail succeeds Dr. Hei Leung, the interim GB head, who will focus on guiding IRRI’s research initiatives in China and Japan.